The ASUS Zenfone Max Pro M2 is coming to the Philippines. Mark Your calendars on December 11. 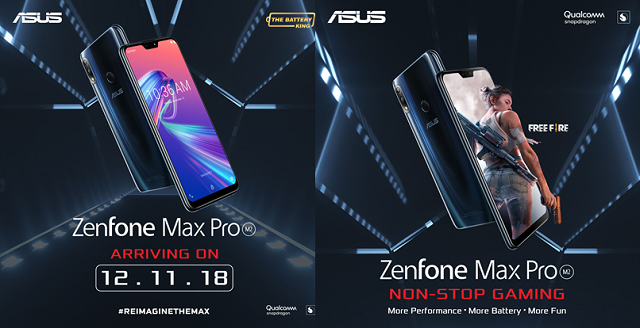 ASUS Zenfone Max Pro M2 is set to be released in the Philippines on December 11. Following the heels of success of the popular Zenfone Max Pro M1, the handset will hit this holiday season by storm. ASUS has teased fans with “Non Stop Gaming” tagline positioning this handset in their mobile gaming portfolio. Likewise, the ASUS Zenfone Max Pro M2 is also expected to excel in performance and battery efficiency. In terms of specs, the handset is set to packs a juicy 5,000 mAh battery. Likewise, the handset is rumored to have a dual-camera setup with AI capabilities. Of course, it will tick with a powerful octa-core processor. It could be a Qualcomm Snapdragon 660; the chipset has proven to be a great gaming processor. So I think it could be perfect to power the Zenfone Max Pro M2. It’s also worth-noting that the phone could be one of the firsts to sport a Corning Gorilla Glass 6 in the Philippines. Zenfone Max Pro M2 pricing and availability in the Philippines is yet to be announced on December 11. We will keep you posted.